Forgecom - why we do what we do - background information. 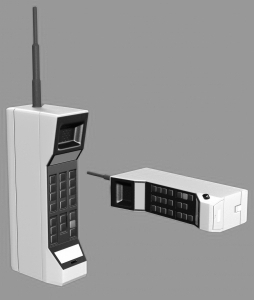 Remember when mobile phones were the size of bricks? Remember when there was no section in the Yellow Pages for internet services? That was 1996! We were and still are a small company focusing on applying internet-based solutions to business processes - that means writing web pages to help your business. The company was founded by the current directors who have many years experience (read that as so many we have stopped counting) in the I.T. Industry, in both the public and private sectors. We have been fortunate in finding a team of people whose technical expertise and social skills contribute to a productive and happy working environment. Each person has a wide range of general I.T. skills, with particular areas of speciality. 18 years in web development is a lifetime in this business, so much has changed. In our early days 1996 - 2006 we focused on working with other web developers and design agencies. We provided much needed application and database integration for their customers' websites. Since 2006 we have focused on working with companies that need more than a CMS. We are here to ensure that your data, can be delivered cross-platform when you need it.